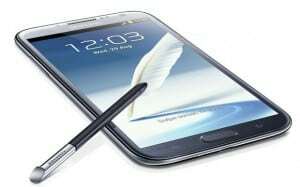 New rumors based on a leaked screenshot match the day of launching the new Galaxy Note 2 with carrier T-mobile in the same day with the Samsung media event announcing the new Galaxy Note on October 24. The fact that they are in the same day makes it very believable, yet nothing is sure yet. Other US carriers offer details about their Galaxy Note 2 offers but a fixed availability date is yet to be released. It seems that T-Mobile will launch the Note 2 in both Marble White and Titanium Grey featuring Android Jellybean, NFC, the fasted quad core processor and an amazing 5.5” screen. It also comes with pre-loaded apps such as Need for Speed: Most Wanted. As it appears T-Mobile will offer more information on October the 15th and we will be watching them to give you the news.